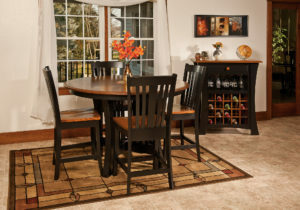 Entertain in style like never before with pub and counter tables from Brandenberry Amish Furniture. 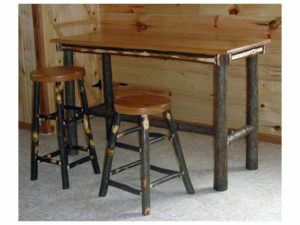 And we’ve given you a lot of bar top tables, stools and pub chairs to choose from. Plus, they’re all Amish-made from solid hardwood. For great looks, strength and durability. A classic mission design highlights the Arts and Crafts Pub Table. Gently curving legs delicately accent to the Brookline Pub Table. 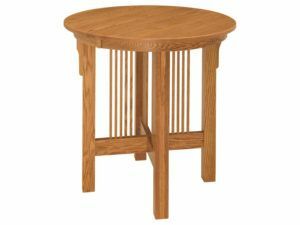 Delicate wood spindles highlight the Craftsman Pub Table. 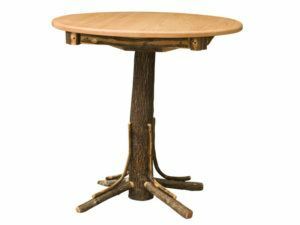 The Mason Collection Pub Table charming accents such as bun feet. 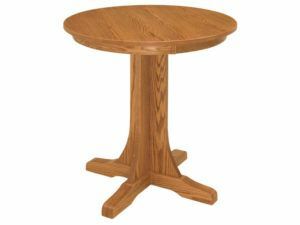 The Mission Single Pedestal Pub Table features a sturdy mission style pedestal. 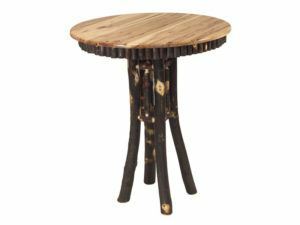 A truly one-of-a-kind design marks the Noble Collection Hickory Pub Table. 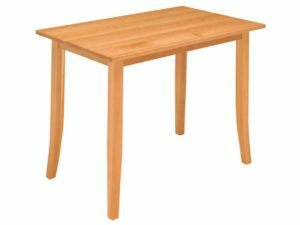 The Open Mission Pub Table features a clean, simple design, perfect for any home. Beautiful hand craftsmanship highlights the Red Oak Pub Table. 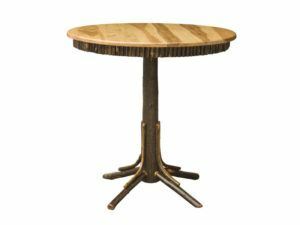 The Round Hickory Pub Table blends rustic wood with solid construction. 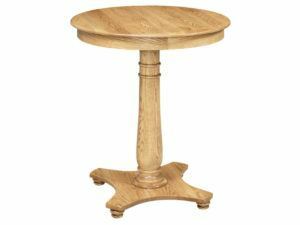 The Round Hickory Pub Table with Square Skirting features a beautiful rustic design. 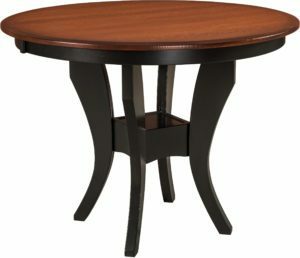 The Stanton Pub Table boasts a sleek wood finish. 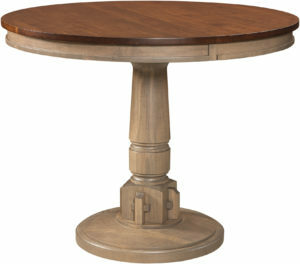 Two carved pedestals add extra stability to the Traditional Double Pedestal Pub Table. 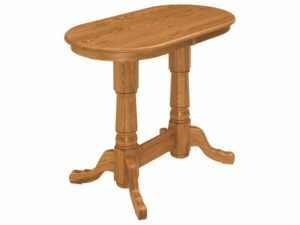 Welcome to what may well be the best collection of Amish-built, solid hardware pub and counter tables on the internet. And the units shown represent a variety of design styles. 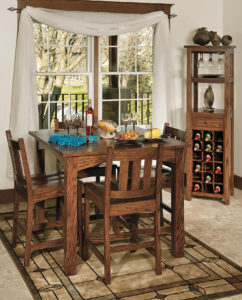 From traditional styles like Arts and Crafts, Mission and Hickory. To trendy designs like Trinidad. 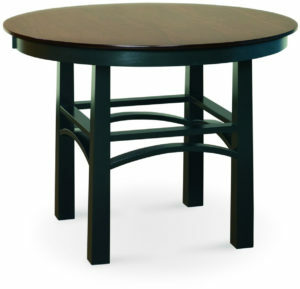 Plus, you can choose round, square, oval or triangle counter tables. Skilled Amish artisans painstakingly handcraft each unit. And they use solid hardwoods like oak, maple, cherry and hickory. So, with proper care, the unit you choose should help keep families and friends entertained for generations to come.